Leslie Harris (Ph.D., Stanford, 1995) has focused on complicating the ideas we all hold about the history of African Americans in the United States; and finding ways to communicate these new ideas to the general public. Her first body of work on New York City challenged the prevailing view of slavery as a phenomenon of the southern United States, with little impact or importance in the north. In her first book, In the Shadow of Slavery: African Americans in New York City, 1626-1863 (University of Chicago, 2003), she examines the impact of northern and southern slavery on the definitions of class, gender, citizenship and political activism promulgated by New York’s blacks and whites. That work led to her participation in the New-York Historical Society’s groundbreaking exhibition Slavery in New York (2005-2006), for which she was a principal advisor as well as co-editor, with Ira Berlin, of the accompanying book. For the next decade, Harris led and participated in a number of public history initiatives. At Emory University, she co-founded and directed the Transforming Community Project (2004-2011), which used history and dialogue to address persistent challenges around racial and other forms of human diversity in higher education. 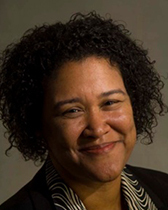 In 2011, she co-convened the two-day conference “Slavery and the University: Histories and Legacies,” the first international conference on the issues raised by the recovery of histories of slavery at higher education institutions in the U.S. and abroad. In 2014, in collaboration with Telfair Museum’s Owens-Thomas House in Savannah, Georgia, she co-edited with Daina Ramey Berry Slavery and Freedom in Savannah (University of Georgia Press), which contains the work of 30 experts on the history of slavery, Georgia, and Savannah—academic historians, museum professionals, non-academic historians, and archivists. Harris is currently at work on a book on New Orleans that uses Hurricane Katrina and her family’s history as a way to interrogate the history of African Americans in the city from the nineteenth century to the present. She also has ongoing research interests in the history of slavery, gender and sexuality in the antebellum U.S. south; and the historiography of U.S. slavery. In the Shadow of Slavery: African Americans in New York City, 1626-1863 (University of Chicago Press, 2003), awarded the Wesley-Logan Prize by the American Historical Association and the Association for the Study of African American Life and History. Slavery in New York, co-edited with Ira Berlin (New Press, 2005). Slavery and Freedom in Savannah, co-edited with Daina Ramey Berry (University of Georgia Press, 2014). African American Labor and Social History. African American Women’s, Gender and Sexuality History. Leslie Harris’s teaching has focused on pre-Civil War African American history from the time of the slave trade through the Civil War. She has also taught courses on the history of New Orleans before and after Hurricane Katrina; and on popular interpretations of southern slavery in twentieth and twenty-first century America. For Slavery and Freedom in Savannah: 2014 Leadership in History Award of Merit, American Association for State and Local History. 2014 Award For Excellence in Documenting Georgia’s History, Georgia Historical Records Advisory Council. 2015 Lilla M. Hawes Award for the best book in Georgia local or county history published in 2014, Georgia Historical Society.